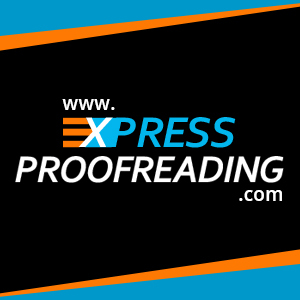 Express Proofreading offers the UK’s only Medicine personal statement editing service provided by practicing Doctors and dedicated to students applying for medicine. Writing a personal statement for your Medicine application can be a difficult and daunting process. If you are a home or international student applying for Medicine at University, then we are here to help you. We will check your personal statement, edit and proofread to ensure that it reads grammatically correct. We will also provide feedback, this will be by a current practicing Doctor, you will also have the opportunity to query any comments. 1. Statement Analysis. Your personal statement will be reviewed by two members of our team. Initially one of our in-house editors will review and proofread your personal statement to ensure that it reads grammatically correct and edit it accordingly, they will examine the spelling, grammar and punctuation, structure and style. Following this one of our partner Doctors will review your personal statement line by line. They will examine and focus upon your factual content, description of your personal strengths and academic achievements, and your reasons for wanting to study medicine. 2. Expert’s Notes. On a separate page, our reviewers will provide an explanation of every change that they have made. 3. Finished Statement. You will be provided with a finished version of your personal statement that incorporates all the changes recommended into the text. Our Medicine personal statement editing service has a turnaround time of 48 hours from the time of purchase. To place your order simply ‘Add To Cart’ and proceed to complete your order. Following your order being received a member of our team will review your order and will email you to confirm your order.